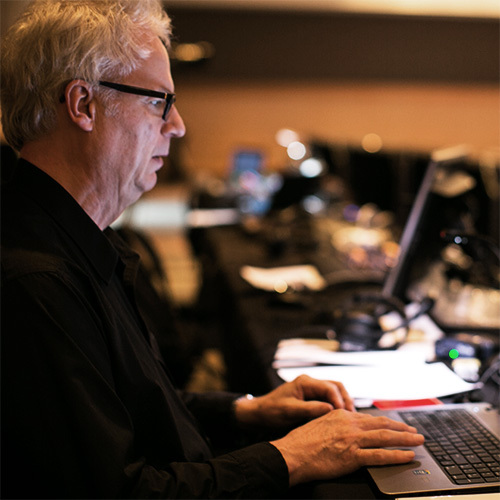 It seems that all production companies promise to deliver flawless, unmatched, unprecedented results for every client, venue, and budget. If every company is the best, which one do you choose? The truth is, we think there are many capable service providers out there, including AVEX. We can all get the job done, one way or another, and that’s where the differences are—it’s in the way the job gets done. What truly sets AVEX apart is our people and core values that drive how we make decisions, treat partners, and ultimately ensure success. Trust must be earned. And earned again. We build relationships based on trust—not transactions—and that trust must be earned. This mindset guides our every client interaction and extends beyond to the event venues, hotel properties, third-party vendors, and support teams who we work alongside. From client CEOs to hotel banquet staff, from 10-person breakouts to 10,000-person galas, from first-ever to fifteenth-annual events—we treat every relationship and undertaking as an opportunity to earn your trust. Transparency ensures peace of mind. We all know the feeling when something just “doesn’t seem right.” The process is hidden. The numbers don’t add up. The communication isn’t there yet, somehow, it feels like it’s your problem and not theirs. We hate that feeling, too, so we eliminate it by being fully transparent. From the first meeting to the final invoice, we explain our actions. We offer the details and answer all questions. We’ve found that transparency ensures accountability and peace of mind for everyone on the team. Plus, we have nothing to hide. Flexibility is the key to exceptional service. Most service providers say, “This is how we do things.” They tell you their preferred timeline, approach, and ideas. It’s true—a well-defined process is required for success. Yet, we believe that the key to truly exceptional service is the ability to remain flexible. To ask, “How would you like to do things?” We bring our ideas to the table and then truly listen and adjust to your feedback. We stay nimble in the moment and have the skill and resources to adapt to any need, obstacle, or request. Do the right thing. Above all else. Yes, we really say it to every member of our team: Do the right thing. At AVEX, that means ensuring that our employees and partners feel fully prepared, equipped, and supported to deliver on our high standards. For our clients, it means always acting in a way that will earn and maintain trust. Even if it’s not the easiest, most comfortable, or most profitable thing—we do the right thing. Above all else. Our people are on time, on budget, and prepared to deliver accurate, quality, and consistent results. We believe genuine reliability is the hallmark of a true professional. If given the opportunity, our people would spend all day, every day, figuring out how to do “really cool” and innovative things. From experimenting with cutting edge production technology to diligent process improvement, we keep our eyes open for ways to strategically and appropriately bring new, fresh, and impactful ideas to the table. 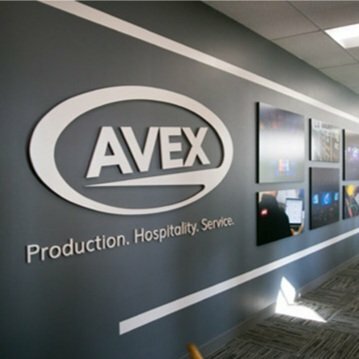 AVEX was founded in 2002 to raise the bar for service in the audio-visual technology industry. Again and again, we saw fallout from companies who overworked, underprepared, and undervalued their people. Even if the client-facing attitude was all smiles and thumbs up, there was often chaos behind the scenes as players grappled over self-interests and mismanaged partnerships. We wanted to do things differently. Over the last 15 years, we have strategically grown our inventory of state of the art production equipment, service capabilities, and most importantly, our team of employees and valued partners who live out our mission and mindset. We value our people, and as a result, they work hard to deliver on the highest standards for customer service and value. 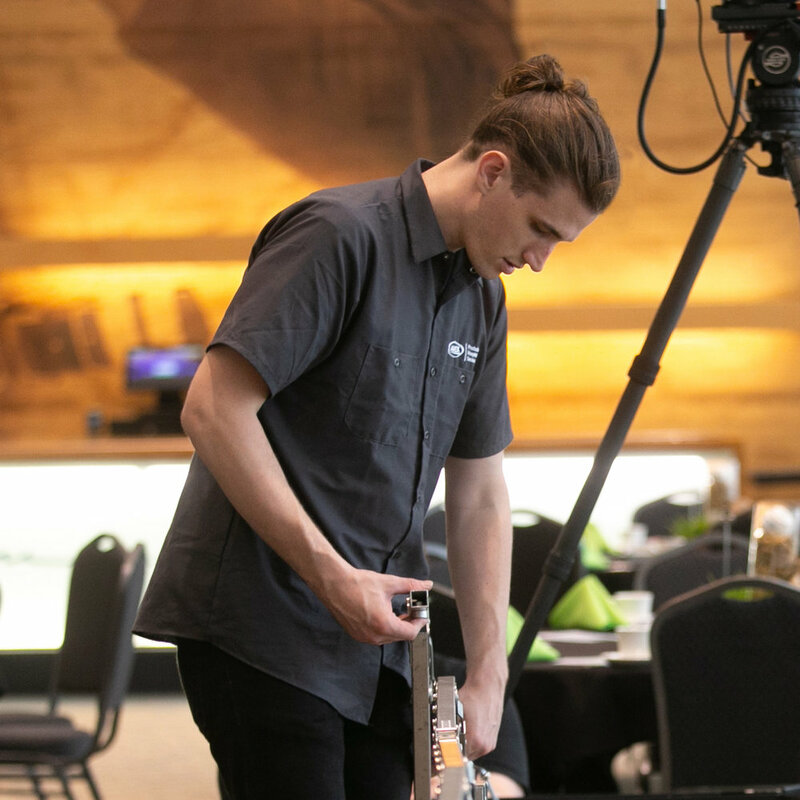 AVEX is based in Minneapolis-St. Paul, MN, and has been in business since 2002, providing outstanding AV services to companies, hotels, event venues, and event planners. We service the local midwest market and travel nationally with our clients. AVEX’s North Carolina branch was launched in 2013. Located in Kernersville, North Carolina, AVEX NC serves the entire Piedmont Triad — Winston Salem, Greensboro, High Point, and the surrounding cities. 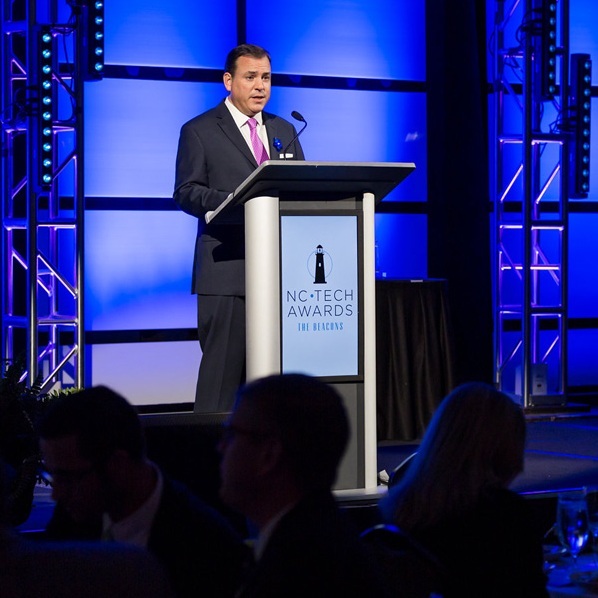 Additionally, the North Carolina Branch serves a wide regional event market (we have executed many events in Charlotte, Raleigh, Atlanta, Orlando, New Orleans, and many others.) We provide audio visual services directly to numerous hotels in Greensboro and Winston-Salem, event production services to corporate clients and event planners, as well as creative lighting and sound system rentals for weddings, reunions, receptions, and other social functions.